TataSky has established its name in the DTH sector as being the most innovative operator which has constantly kept innovating and transforming itself to keep in sync with the changing demands of the TV viewer. 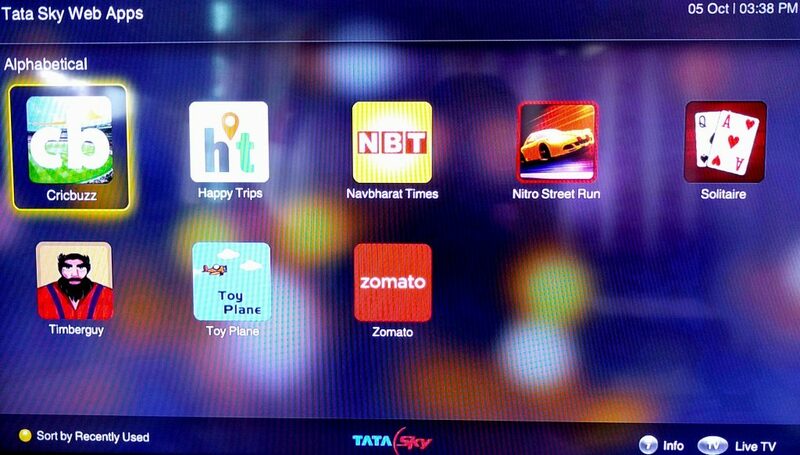 In its series of industry firsts, TataSky has become the first DTH operator to launch web apps on its set top boxes. Web apps are similar to the apps you have on your smartphone and function pretty much the same, just that you get to use them on a much larger TV screen. As of now the apps are available exclusively on the transfer plus HD set top box, since that is the only box which has internet connectivity through Ethernet or wifi dongle. 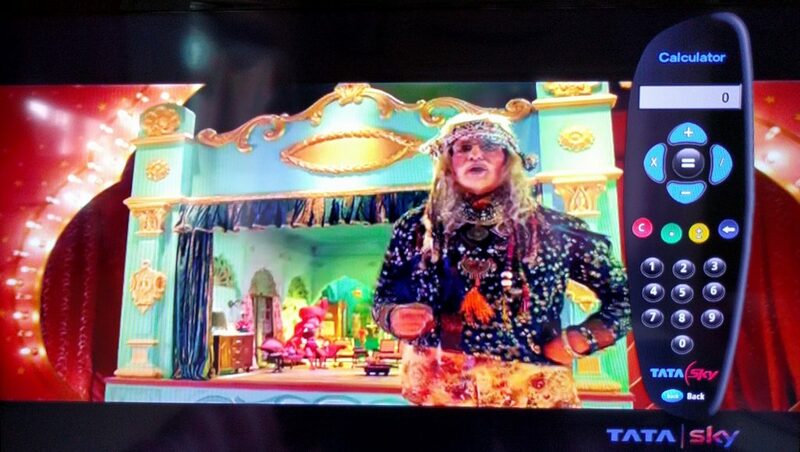 TataSky had recently updated the complete user interface of its Transfer plus HD set top boxes and users who have set up internet connectivity on these set top boxes will be able to download and install the HTML5 software update which will enable support for web apps. The service currently showcases NEWS aps like NDTV, Navbharat times and Cricbuzz; games like Nitro street run, Solitaire, Toy plane and restaurant finder app Zomato. The update also adds a utility app in the form of calculator which is displayed on screen and can be used via the corresponding keys on the remote control. To launch the web app menu one can either press the green button on the remote while watching live TV or click on showcase button and then select web apps from the side menu. TataSky will be showcasing select critically acclaimed movies screened at the Mumbai Film festival and take them nationwide on its new service ‘TataSky Mumbai film festival’ launching on 7th October in HD feed on channel No.302 and SD feed on channel No.303. The service will be absolutely free for TataSky subscribers and the operator will screen 3 Ad-free movies per day in a wide array of languages like English, Hindi, Arabic, French, Russian, Malayalam, Assamese, Punjabi and Marathi.